Free shipping. Buy direct from HP. See customer reviews and comparisons for the HP Sprocket Gold Wallet Case. Upgrades and savings on select products. 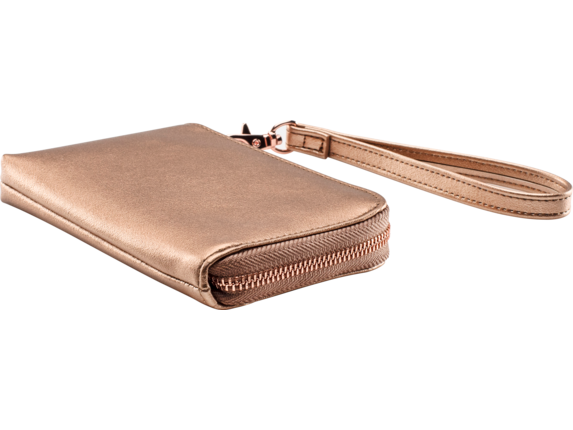 The HP Sprocket Wallet Case helps protect your Sprocket and keeps it on hand when you’re on the go. Compatible with HP Sprocket, HP Sprocket 2-in-1, and HP Sprocket Plus. The HP Sprocket Wallet Case is slim, stylish and the perfect travel companion. Easily slip it into a bag to safeguard your Sprocket on the move, and store photos in the included side pocket. Compatible with HP Sprocket and HP Sprocket 2-in-1 only. Experience-focused users who love to share photos and be in the moment, who seek out fun, and who love expressing themselves creatively. Help protect your Sprocket on the move with a wallet case, and keep instant photos and more in the side pocket. Match the style of your Sprocket with two color options—compatible with HP Sprocket and HP Sprocket 2-in-1, and HP Sprocket Plus. 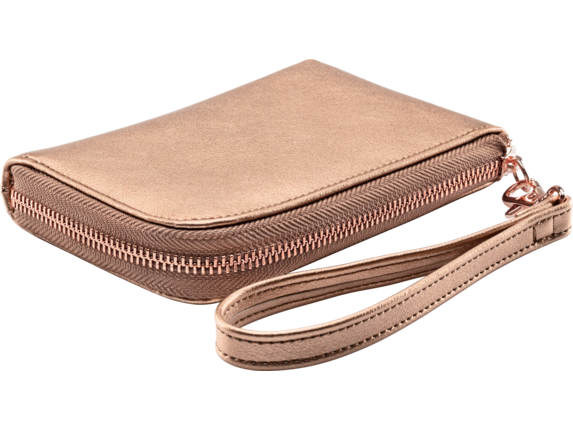 With the Sprocket inside, this wallet case easily fits it into your purse or backpack so you can create 2 x 3 inch (5 x 6 cm) photos virtually anywhere.